July 1, 2010 12:00 pm By Lori Post contains sponsored/affiliate links and I get commissions for purchases made from links. As an Amazon Associate I earn from qualifying purchases. Thinking of having kabobs this weekend? 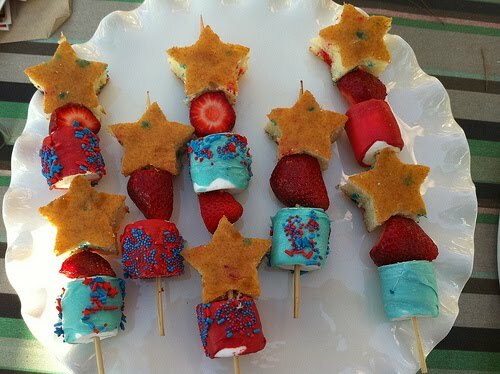 Here are a few fun and delish ideas from across the web. 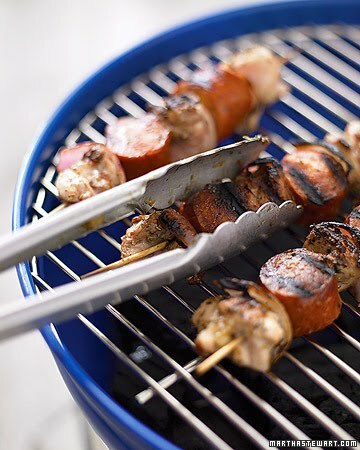 Martha makes Cajun Chicken Kabobs. 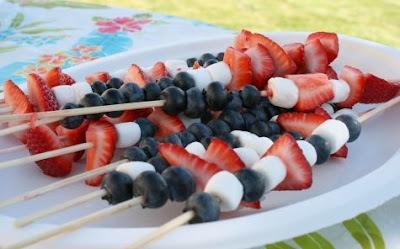 Make and Takes made some red white and blue kabobs. Meringue Bake Shop shows us how to make Dessert Kabobs!